Apple has instituted a replacement program for first-generation iPod nanos, which may contain flawed batteries that could overheat and cause damage. It's the result of an investigation which began three years ago in Japan, after an iPod nano began sparking during the charging process. Subsequent reports included incidents where overheating iPods burned paper and a woven straw mat. The affected units include those sold between September 2005 and December 2006; Apple is providing an online form where you can enter your nano's serial number and see if you're eligible for a replacement unit. If your unit is covered, you can ship it in and you'll receive a replacement model in six weeks. 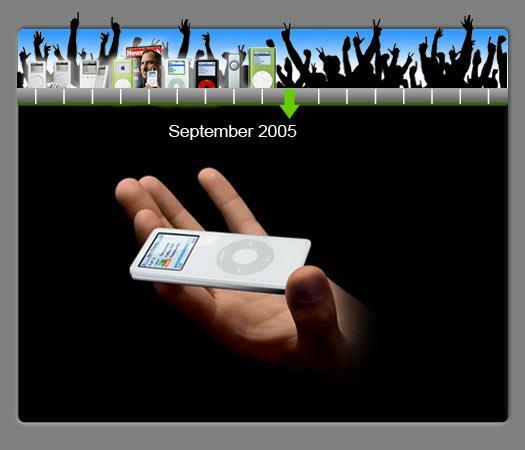 The company notes that personalized iPods will be replaced with non-personalized units. Apple published a statement in 2008, attributing the fault to the batteries from a specific supplier; the company said that the issue only occurred "in very rare cases" and that it had received reports of less than 0.01 percent of units actually experiencing the problem. The new page for the replacement program does acknowledge, however, that the likelihood of an incident increases as the battery gets older. Replacement iPod nanos sport a 90-day warranty from the date of service. Apple recommends users back up their iPod's data before sending it in. This program follows a similar replacement program for fraying MagSafe power cables, which resulted from a class action settlement.